If your property or business has suffered fire damage then we can help. We can work with insurance companies, third parties or direct with you. Our well trained staff use the latest procedures, processes and equipment and we are one of the leading disaster restoration companies in the UK. Even after the fire service have put out the fire the damage will continue. Much of the material found in the furniture and flooring in your home, office or business is synthetic. When this type of material has been near a fire or burnt the synthetics create a variety of complex chemical reactions. After only a few days the furniture can quickly go from cleanable to un-salvageable. 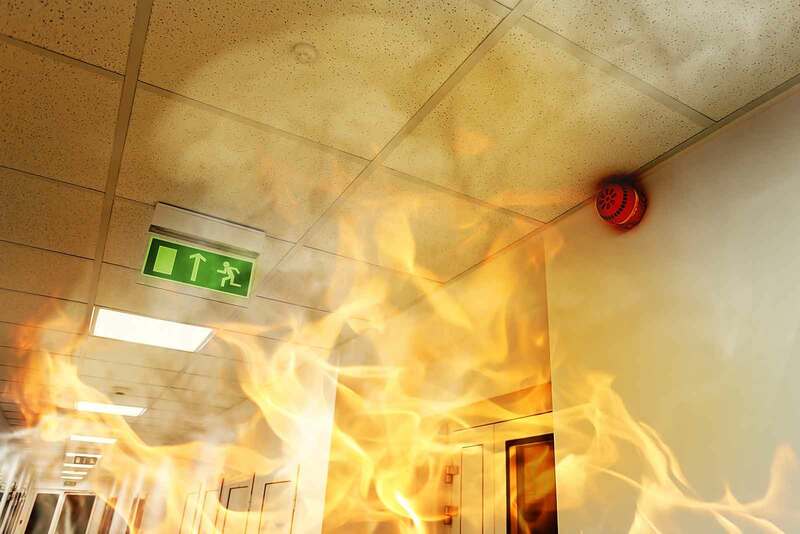 Effective, rapid action is essential in fire and smoke damage restoration. Our teams at ServiceMaster Clean Devon are experts in understanding the chemical combinations that can effectively clean and salvage belongings. Items that have great importance may be able to be cleaned and restored. We can even remove soot from at-risk items such as brass, aluminium, chrome, marble, tile, and porcelain as well as fabrics in upholstery and carpets. All this helps to avoid additional expenses after the fire. So if you have a fire act fast and call our emergency 24 hour / 365 day disaster team on 0800 018 5550.